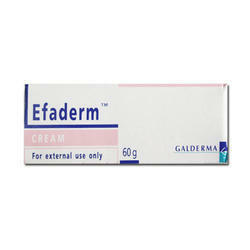 Being a customer focused organization, we are engaged in offering Efaderm Cream. Our experienced vendors make sure to use best quality ingredients in the processing of this cream. Post-processing, our range is stringently examined by quality controllers on various criteria like shelf life and accurate composition. 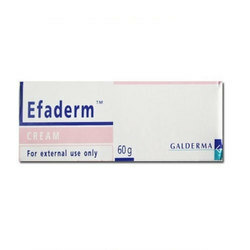 Being a customer focused organization, we are engaged in offering Efaderm Cream. Usage : Nausea, stomach upset, skin rash, acute toxicity. - sodium lactate 2 % w/w. We have been able to offer our clients a qualitative range of Efaderm. We have founded ourselves as a recognized suppliers of Efaderm.